Ready for another round of drama-sleuthing? Help out your fellow Beanies or email us your own questions and requests for future Name That Drama installments. I remembered this scene from another drama while watching Young-joon in What’s Wrong With Secretary Kim. In this other drama, there’s a top star who’s also full of confidence. There’s one scene where he’s in the car admiring his handsomeness. He talks to his manager about a role he turned down and they’re laughing because Kim Nam-gil took the role and it tanked Kim Nam-gil’s career. I’m not sure if he’s the lead or just a funny side character. I think I watched this Korean drama a long time ago, maybe around 2007. I only remember the childhood part which takes place in the U.S. There is a pair of siblings, the big brother is the male lead, and he is so angry and wants to get revenge because his sister was raped. I also recall a scene where the lead couple are talking near a bus, promise to meet each other somewhere. And I think there are some horses in the drama? Since I can only get to see the childhood part, I don’t know the name of any actors or actresses to search. Please help me find out what this drama is, it keeps bugging me. I’m not sure if this show aired or it’s a description of a future drama. I remember reading the announcement in the past two or three years. There’s a heroine obsessed about being perfect and clean at work, but they’re a total slob at home. Help! Is this drama out now? I remember watching this movie two years ago (but I’m pretty sure it’s older than that). It was about this sick girl who has a deformed hand (her forefinger and middle finger were attached and so were the ring finger and pinky, so she basically had three fingers including thumb), and she lived with her mother. So one day, a guy who is a photographer moves into their building and he sees the female lead on the balcony smoking and asks for a cigarette or a lighter. Or maybe she asks him, I’m not sure. Anyway, they start spending more time together and they fall in love (probably), but in the end the female lead dies because of her illness and the male lead exhibits the photograph that he took of female lead and her mom’s hands holding in the hospital bed; and him and her mom look at the photograph while thinking/talking about female lead. Sorry this one is hard! I remember an interview about the drama and not a scene from the drama itself. There’s a recent show where the viewers shipped a male character with a woman. He keeps looking at her with heart eyes. I don’t remember what their relationship was in the show, I just remember it would’ve been unconventional if the ship was real (something like fauxcest?). The loveline was never part of the story but in an interview, the PD or the actor shared that a lot of people commented on his melo eyes and shipped him with the female character. Thanks for playing, everyone — till next time! #1. The Greatest Love, I think? Haven't a clue about any of the other, although #4 sounds very depressing. Great minds... That's exactly what I thought. junny turned me on to the Jdorama nearly 2 years ago -- and added the term himono onna, literally "dried fish woman," to my vocabulary. HOTARU NO HIKARI (2007, Japan, NTV) 10 eps. -- aka IT'S ONLY A LITTLE LIGHT IN MY LIFE (literally, GLOW OF A FIREFLY). Not just a loopy rom-com, HOTARU NO HIKARI has touching moments, a great OST, and memorable bits of dialogue, e.g., "Feelings cannot be understood until spoken" [TAKANO SEIICHI, ep. 5]. A slobby young woman who works for an interior design firm is a dyed-in-the-wool himono onna, a "dried fish woman" who has given up on dating or exerting herself outside of work. All is well in her slacker life until a man shows up at the house she has been inhabiting at the largess of the owner, who is on extended travels. Turns out the guy who has upset her tranquil haven of slobdom is the son of the homeowner -- whose wife has just left him for a younger man. They establish an uneasy truce, complete with a "cohabitation treaty." -- That's all I'll say to avoid revealing too much. There's a second season and a movie as well. Well, this looks like something I should watch! I need slacker heroines once in a while. 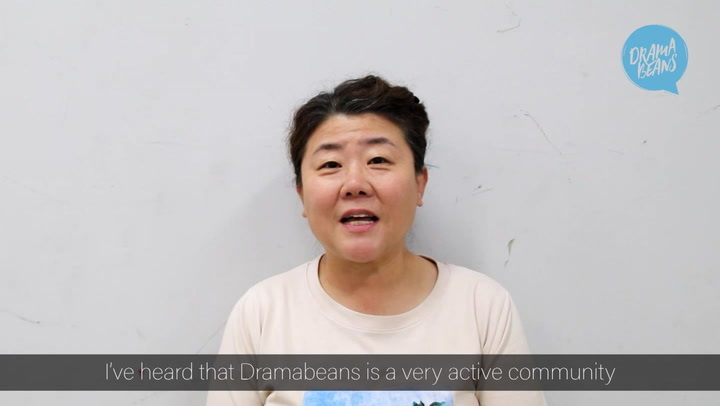 They are all too hard-working in kdramaland. I feel like it could also be Switch Girl but since I haven't actually watched either, I could be wrong. Hha, remember how she reached for the magazine with her toes while lounging because she didn't want to have to sit up? Hotaru no Kikaru was a fun Jdrama! #3 is probably "What Happens to My Family". The eldest daughter lives just like that. #1 is "Greatest Love". That scene comes after the first 7 minutes of the first episode. Hahaha you even got the time memorized? I can't remember if I came across an interview, but #5 made me think of Jang Hyuk's and Lee Mi Sook's characters in Money Flower. He definitely had melo eyes and he was magnetic in this drama. It could well be... I remember having to force myself not to ship them. Me too... :3 And then the show put a spotlight on it by having that arc where everyone was gossiping that there's something. IKR! That was so clever. It was probably the reason why I couldn't get behind the storyline of him liking Mi-sook's daughter, because he just didn't look at her the way he looked at Lee Yo-won. I just wrote a head version where she has an affair with her stepson and they conspire to get revenge... while in bed. In my own defense, later in the drama I rewrote that head canon so she divorces her husband and then her stepson stays living with her as her son. I kind of got a bit upset at the show saying that if she got divorced they "didn't have a relationship anymore" and he would have to move out. Sometimes the Korean obsession with biological families upsets me. I would have loved to read your "head version" with that alternate ending, @leetennant! In my mind after her divorce, they moved back to his seaside hometown and lived in a house they built on his land. The second season starts 7 years after the 1st season and now he is 25, Ra Mi-Ran and Myung Se-Bin joined them for an extended vacation. Now the Revenge Club is back together and they decide to help a couple local ajummas to get revenge on their no-good husbands. Of course in the process our OTP solidifies their love for one another! well #5, cheese in the trap press conference was literally all about that.. PD kept saying how much PHJ looked in love with the girl for real..etc etc.. and then his video from before where he called her his ideal type..
For no.3, the phrase ‘total slob at home’ brings to mind the plot summary published in the news section for an article on What’s Wrong With Secretary Kim before (I think?) it started airing. Haven’t watched it yet tho or read the recaps (I like to binge-watch + have blind reactions to my dramas) so idk how accurate it is. Ooooh I remember reading that too... but seeing her apartment now, I don't know where "slob" comes from O___O I aspire to be that level of "slob". It reminds me of shows where the plot descriptions released are either completely wrong, describe the whole plot, or put focus on the wrong things. Like Suspicious Partner, which was supposed about an amnesiac killer. Oh my days, yes. I hate plot descriptions that give away spoilers the most. I love going in blind for dramas so I can have fun imagining all the different ways things can go, so whenever I'm on a site like Viki that puts spoilery episode summaries RIGHT BELOW THE VIDEO, I have to like, strategically size my window and pointedly stare upwards so as not to accidentally read anything. @mary Oh days YES, NETFLIX. The worst is when I'm at the beginning of an episode, pause it to do something, then offhandedly glance at the screen to check it's stopped only to fling myself out of my chair shrieking "My eyes! My eyes!!" But alas. I cannot un-read nor un-know those awful, awful spoilers. Netflix doesn't understand subtlety. It kind of explains how it just crash-landed into the drama scene with no idea what it was doing. Or those screen shots of the show before you click on the episode that ruins the best moment in the drama!! Nice detective work! I wasn’t sure from memory, but reading the excerpt now it definitely sounds like a perfect fit for what the beanie summarised for no. 3. Then again it could be a ton of dramas lol, since I think every heroine is put together at work and more slob-like at home to an extent. I remember reading Mi-so's character description and felt like it was a carbon copy of Baek Jin-hee's secretary character in the Jugglers. It would have been fun to see how Park Seo-Joon would cook and clean as a perfectionist just like we did with Daniel Choi. But now we just have to satisfy that part of our brain watching Ha Seok-jin in Your House Helper. Seeing Young-joon now, he'll probably get one of his assistants to do the cleaning and be like "You missed a speck here. Aren't I great for teaching you how to clean perfectly? It's okay. No need to thank me." 😂😂😂 If he does clean himself maybe he would deal with the aftermath of epic fail the same way he did with grilling -dumping everything into the trash bucket. I was think WWWSK, too, but then I remembered that the secretary in Jugglers was really a slob. Her friends didn't want to go over to her house because it was such a mess and she even forces her boss to clean it for her at one point. I wonder if this was the one. Number 4 is the movie "...ing" with Im Soojung and Kim Raewon. No 1 is definitely Greatest Love. I remember this scene as the one Dokko Jin (played by Cha Seung-won) is laughing about the bad ratings of Queen Seondeok and how he dodged a bullet because Kim Nam-gil's career failed after how bad the drama's ratings were (in this reality of this drama of course). No 2 kinda sounds like Paradise Ranch? I haven't seen the drama but as far as I know, there aren't many modern day dramas with horses in them. Number 3 also sounds a bit like Can’t Lose. If I remember correctly Choi ji woo’s character was like that. AHHHAAAA. I knew # 2 sounded familiar. I was browsing through a kdrama sight and I stumbled upon it. #2 is undoubtedly Lobbyist (2007) with Song Il-gook. If you search on asianwiki you'll probably get it.